About Econz Wireless and our mobile applications Timecard and EService. Today's topic will be about a new user type we added thanks to our valuable customers' feedback: the Office Administrator. We had covered the topic of Timesheet Signoff in a previous post and also went about explaining the available User Types that can be added through the Manage Users screen. What happened is that there came the need to have a user that was able to approve timesheets without the need to assign each task to them, so the Office Admin works as a Payroll Admin with the added capability that you can filter exactly whose timesheets they will approve. TimeZone: the correct time zone for the user. Login ID: a combination of the user's name and last name, keep in mind it's case sensitive. 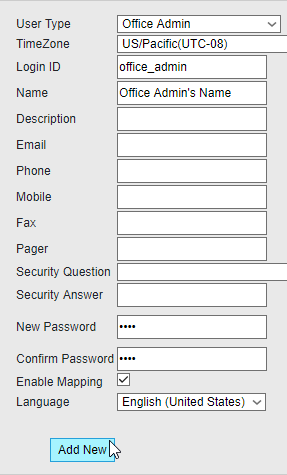 Name: name of the Office Admin you are creating. New/Confirm Password: use a secure password of your election, make sure to enter the same one on both fields. Language: select the appropriate language. Once you have this, click on "Add New". 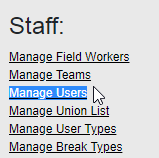 Now you will notice that if you access the Office Admin's profile, there will be a few buttons at the bottom, the one we are looking for is called "Update Leader User Members". 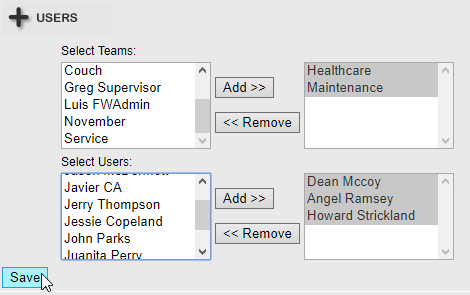 The first box is to add teams, the second one to include specific employees. When you are happy with your selection, click on "Save" and you will be set. That's all for this time, let us know if you have any questions or comments! New Timecard GPS Versions for Android & iOS!!! © ECONZ Wireless (USA) Ltd 2016. Simple theme. Theme images by gaffera. Powered by Blogger.